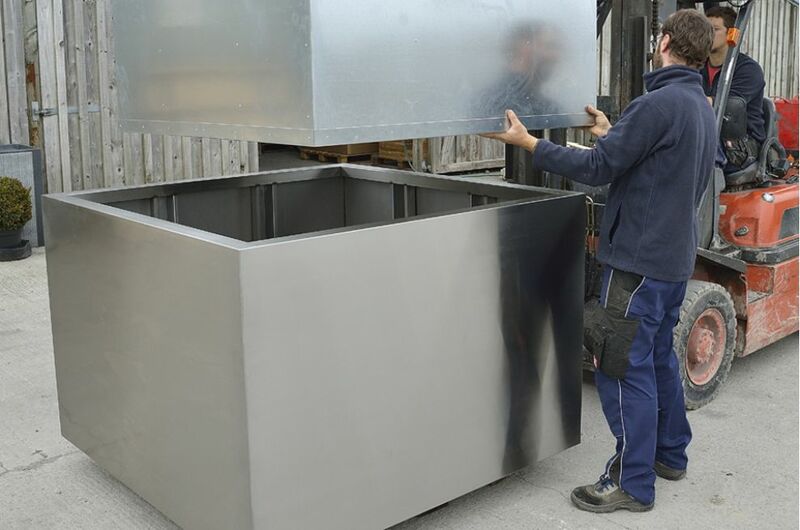 Stainless steel tree planters were commissioned for town centre improvements in Romford, the largest town centre within the London Borough of Havering in East London. 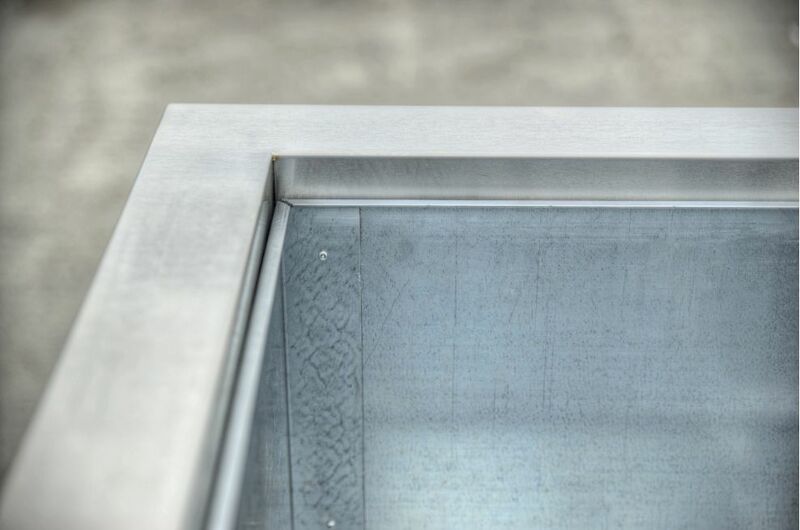 These improvements form part of a wider scheme to upgrade public realm and highways in the centre of Romford, in advance of the arrival of Crossrail. 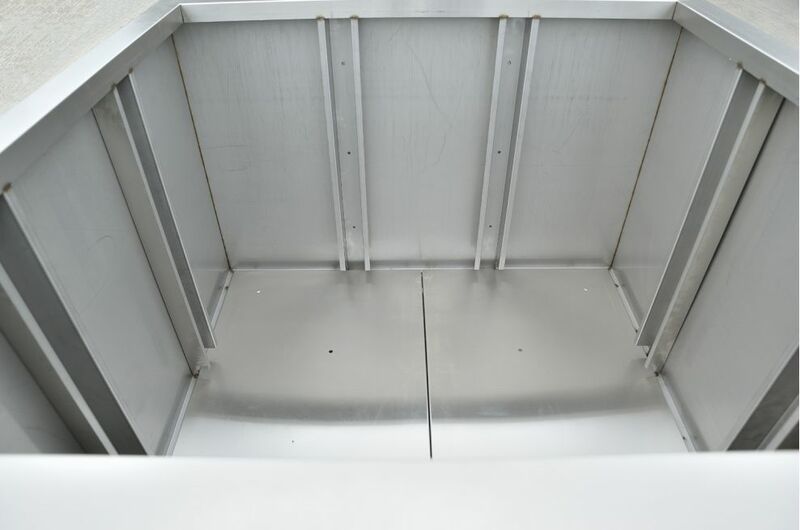 A total of 6 large tree planters were commissioned, each of external dims L 1500 x W 1500 x H 1500mm and with a 75mm wide rim. 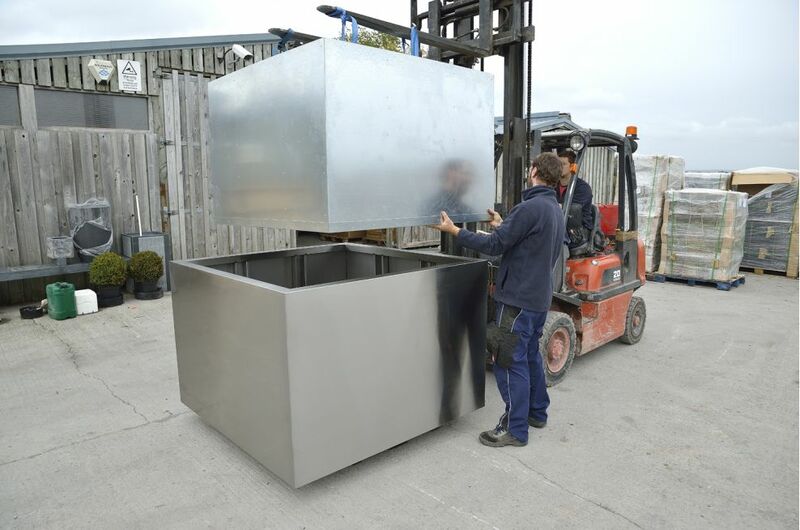 The planters were manufactured from 1.5mm thick 304 grade stainless steel, with a brushed finish, reinforced internally with vertical stiffeners. 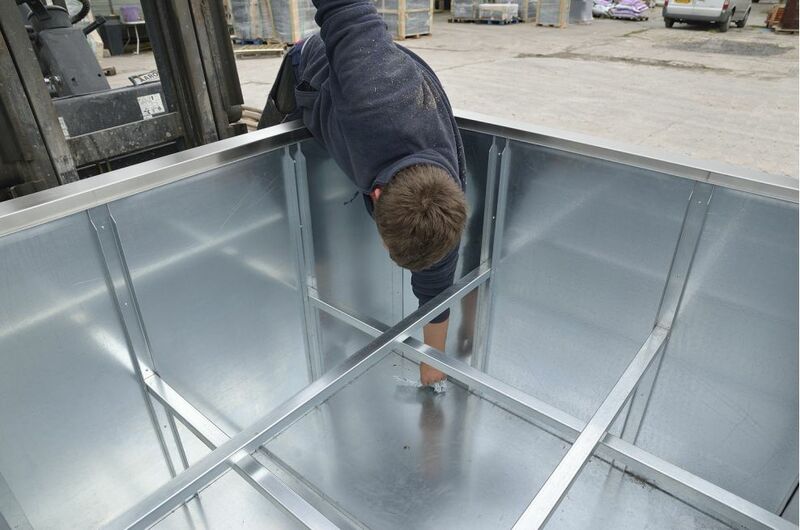 The planters were also supplied with L 1425 x W 1425 x H 1480mm sacrificial liners in 1.5mm thick galvanised steel, reinforced internally with stiffeners and cross-braces. 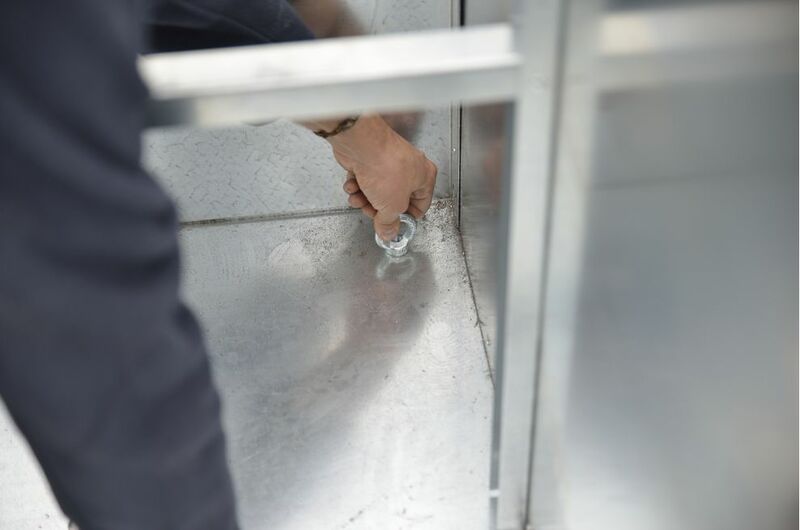 The base of the planters were fastened through with steel eye bolts, to assist in lifting the planters during installation, and to subsequently serve as attachment points for a tree anchoring system.